Ukrainian war criminals might try to strike at Donetsk with three tank battalions over the May holidays. This was reported by General Major Denis Sinenkov who heads the operational command of the Armed Forces of the DPR. He stressed that an offensive might begin on the territories which are currently being de-mined. Sinenkov also stated that according to the republic’s intelligence services, the UAF is actively re-deploying and rotating the Nazi battalions on the front line of defense. 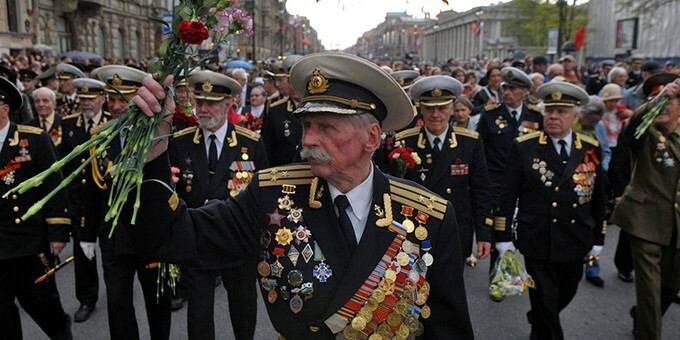 A likely ban on the celebration of Victory Day in Ukraine would be an insult to the veterans of the great Patriotic war. 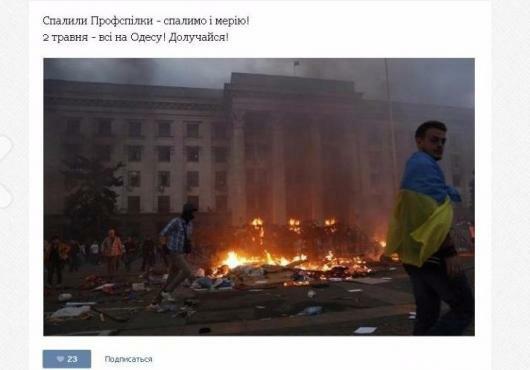 However, they intend to march on Khreshchatyk, even if far-right extremists open fire on them. According to the head of the Kiev organization of veterans of Ukraine, Nikolai Martynov, the Verkhovna Rada adopting the law on the “condemnation of the communist and national socialist (Nazi) totalitarian regimes in Ukraine and prohibition of propaganda with their symbols” takes the celebration of the victory away from the veterans. He made such a statement during an interview with the Ukrainian version of “The voice”. “The presidential decree takes away the concept of the great Patriotic war, […] takes away the celebrations on May 9th, and focuses on 8th May — the Day of remembrance and reconciliation. 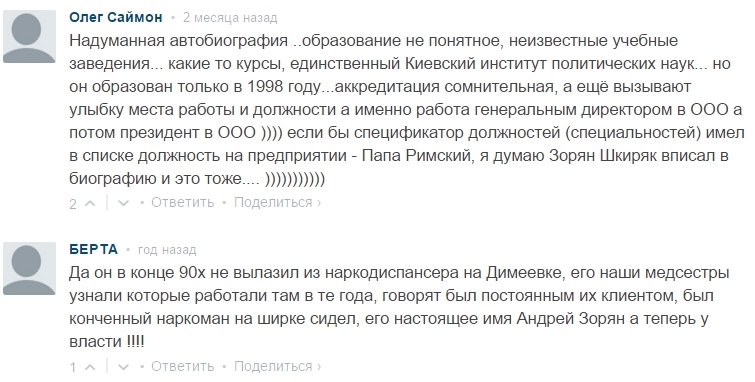 When Viktor Yushchenko came to power, he asked us about reconciliation. We said that the leadership of the organization cannot resolve the issue personally and offered to ask the veterans. We interviewed them, and at that time we were told by 99.9% that there cannot be reconciliation with those who are not rehabilitated. What is reconciliation? We signed a contract with Nazi Germany. She surrendered,” — quotes RT. Martynov also stressed that the decree is unconstitutional, because this decision was made without a referendum. In the case of approval of the law by the President, according to the head of the Kiev organization of veterans of Ukraine, the ban in the country will fall on the Day of Defender of the Fatherland. “My office has a copy of a Victory banner — a veteran banner. And opposite in the city centre there are trash cans. So I’m afraid if the “Pravy sector” come, they can tie this banner around their neck and suffer in the dustbin. An element of intimidation is also felt by veterans. Lawlessness comes from the SBU, some law enforcement bodies” — said Martynov to the website “Politnavigator”. He also fears that on 9th May, they may be attacked by extremists from the “Right sector”. His words were confirmed by veteran-soldier and retired Colonel Dmitri Stadnyuk. “We will never agree with the fact that you cannot celebrate May 9th […] We will openly go to downtown. Let them try to shoot at us. We’re not afraid. We will fight, if you will bring us to such a state,” — he said. As a reminder, the Ukrainian Parliament, on April 9th, passed a law condemning communist and national socialist (Nazi) totalitarian regimes in Ukraine and prohibition of propaganda with their symbols.” Its goal is to “prevent the recurrence of crimes of the communist and national socialist (Nazi) totalitarian regimes, any discrimination on national, social, class, ethnic, racial or other grounds in the future, restoration of historical and social justice, and the removal of threats to the independence, sovereignty, territorial integrity, and national security of Ukraine”. Share this widely, let everyone know! Congratulations and thank you to Russia and all the nations of the former Soviet Union for your incredible sacrifice and your leadership role in defeating Nazi Germany. The suffering that you endured makes this day especially sacred. We must never forget. We must always honor your sacrifices and the many who lost their lives. We must always remember. And to all the veterans and civilians from many countries that fought to end this horrible reign of terror, thank you. To all those who died, may we always remember. May all of us work together for peace and to insure that never again does this happen. Spokesman for the Russian embassy in Canada said that Canadian capital Ottawa and the most populous city of the country Toronto will hold events dedicated to the 70th anniversary of Nazi defeat in the World War II on May 9. WASHINGTON (Sputnik) – Canadian capital Ottawa and the most populous city of the country Toronto will hold events dedicated to the 70th anniversary of Nazi defeat in the World War II on May 9, a spokesman for the Russian embassy in Canada said Friday. “We will honor our veterans who live in Ottawa, at a ceremonial reception at the embassy on May 9, there are not so many of them, only 15 people,” Kirill Kalinin said. Officials from the embassies of China, Germany and countries of the Commonwealth of Independent States (CIS) will participate in the reception, according to the spokesman. Canadian officials have also been invited, although they have not confirmed their participation. Russian embassy workers and Russian nationals plan to visit Canadian War Museum in Ottawa and lay flowers at the T-34 tank which is a part of museum’s exposition. Toronto’s initiative group will hold a parade of World War II veterans from the former Soviet Union countries and from allied nations, workers of the rear, survivors of the siege of Leningrad (modern St. Petersburg) and the Holocaust. The group has also organized an event in a city park where everyone will be able to meet veterans. Representatives of the local authorities and organizations are expected to congratulate veterans. Montreal’s initiative group plans to fly a plane with a 70-meter (229-foot) St. George ribbon that symbolizes the Soviet victory over Nazi Germany. 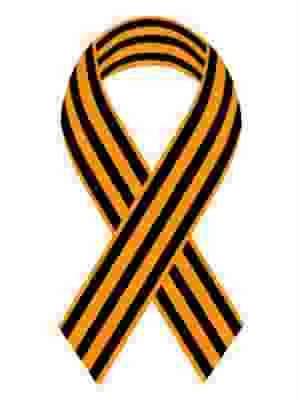 The Montreal group said, they have already handed out 6,000 ribbons preparing for the Victory Day. On May 9, extensive events are planned in Russia and other former Soviet states to celebrate the 70th anniversary of Nazi Germany’s capitulation.